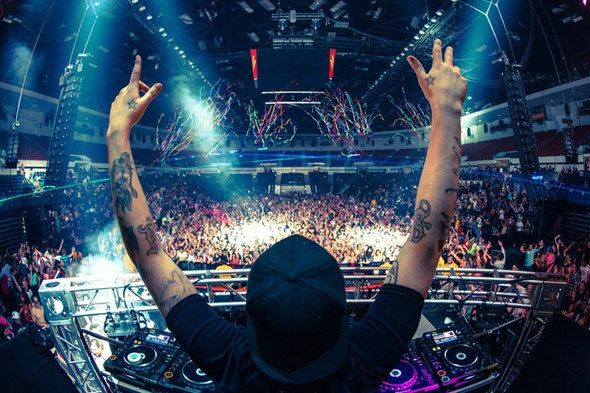 One-third of the dance music prodigy Swedish House Mafia and label-head of Size Records, Steve Angello is preparing his first Size Records takeover at the Hollywood Palladium on May 12, 2012. In celebration of this event, the Size Records family, alongside Steve Angello, is inviting DJs to submit a 10 minute mix of their best DJ set for the chance to be selected as the opening act for the Size Matters event. One highest voted artist will receive a feature on Size Records' Facebook page as well as a Size Records Merchandise package. Click here to review the guidelines and submit your work.